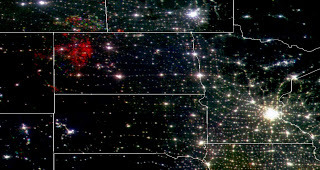 Multiyear composite (1992, 2000, 2010) of nighttime DMSP satellite images of the Midwestern United States. Image courtesy NGDC. Multiple cloud-free images collected over several years have been combined to make this picture: 1992 is shown in blue, 2000 in green, and 2010 in red. 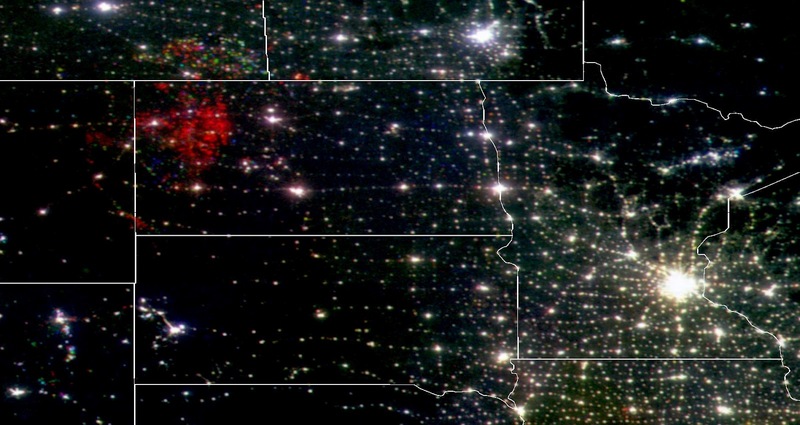 Places that had lots of light in all three years show up bright white (equal amounts of blue, green and red) — that basically shows established cities and towns that haven’t changed much over that time period. But whoa, check out that big patch of red in the northwest corner of North Dakota. 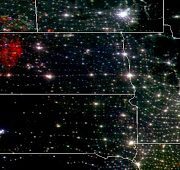 That indicates an area of bright lights in 2010 that was dark in 2000 and 1992. What could this be? 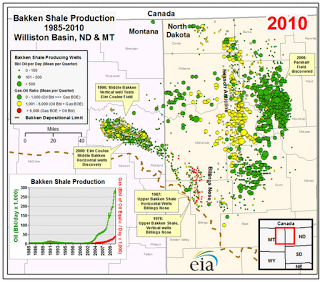 Wells drilled in the Bakken Shale, northwestern North Dakota – northeastern Montana. But there is another reason too: operators in this oil field are flaring off large quantities of natural gas. That’s right, burning it off as a hazardous nuisance. Meanwhile some folks on the campaign trail and on Capitol Hill complain loudly that environmental rules and government policies are limiting industry’s access to more public lands throughout America so they can drill for – you got it – natural gas. Despite the fact that industry is already sitting on thousands of approved drilling permits that remain idle, and millions of acres of leases they aren’t developing. Yep, this makes my head hurt too. Looks like there'll be enough oil production to keep fuel in that Cessna for awhile…..
You should applaud natural gas production. It is much cleaner to burn than coal. That, of course, is not what this site is about. Re: leases held in other places that are not developed yet–the production is done where it's economically feasible. 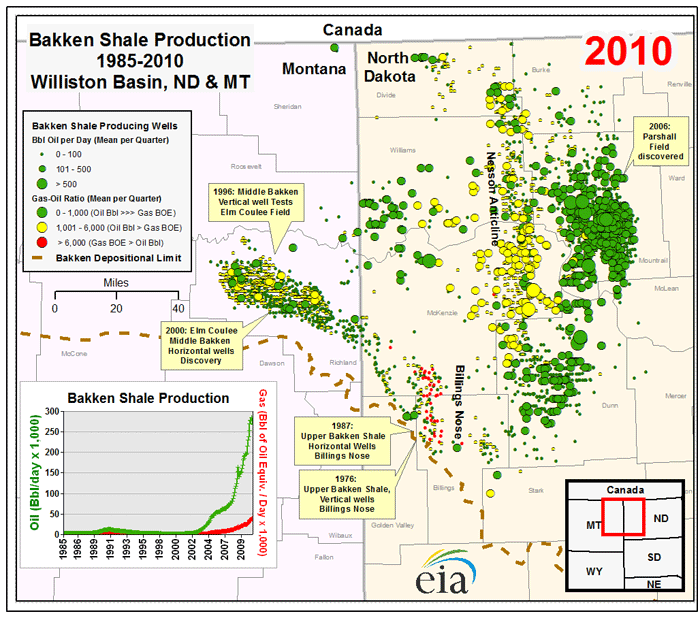 In any case, 97% of new production in the Bakken is on private ground (thankfully). Every source of energy has its pluses and minuses. This site is about giving people information they can use to make decisions about what energy we use, and how. 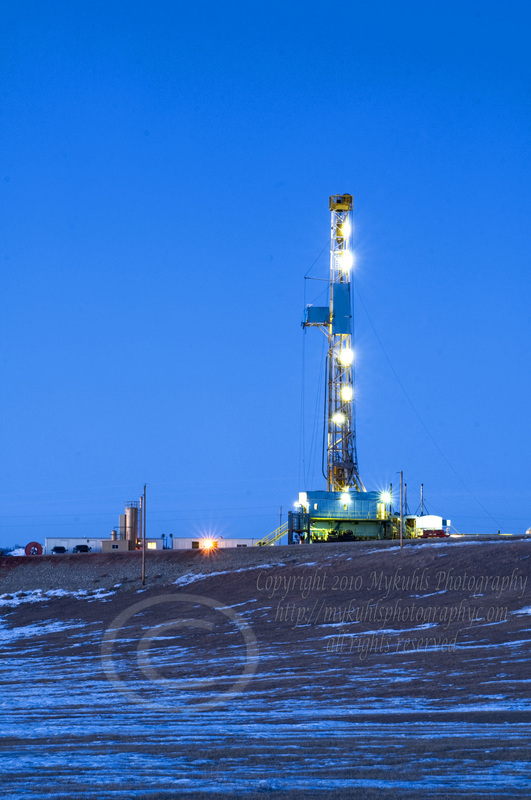 There is a lot the public does not know about fracking and oil drilling. Do we have any long term studies for effects on groundwater? How about GHGs that escape the extraction process? We don't even know what chemicals are used, since the drillers are exempt from many laws that other energy companies comply with. Most people are scratching their heads – others are just applauding this trend for energy dependence. From an economic standpoint- always ask what the LT costs are. What price could the next generations be paying?